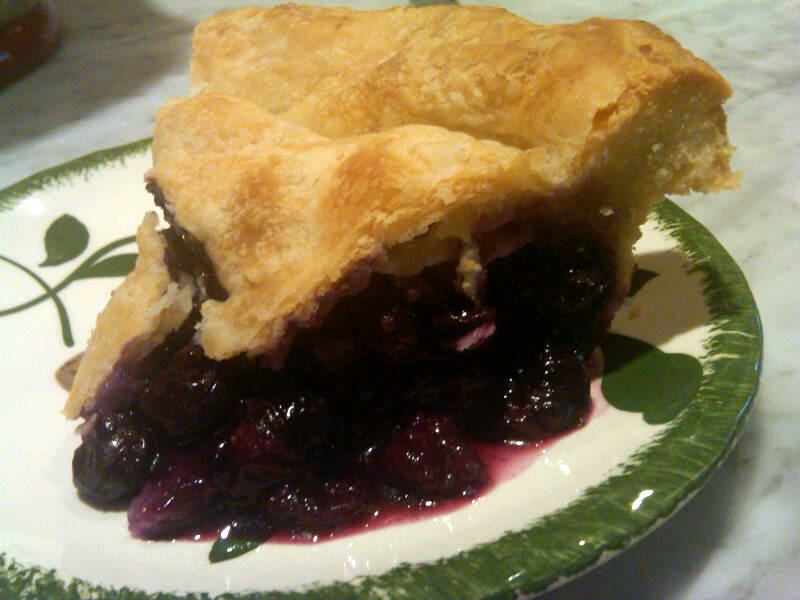 A Father's Day request by DH (a terrific dad to our children) and beautiful blueberries at the farmer's market meant just one thing -- a homemade blueberry pie for dessert last Sunday. Determined to find a recipe on a hand-written card, I went through hundreds in my collection and turned up NONE! 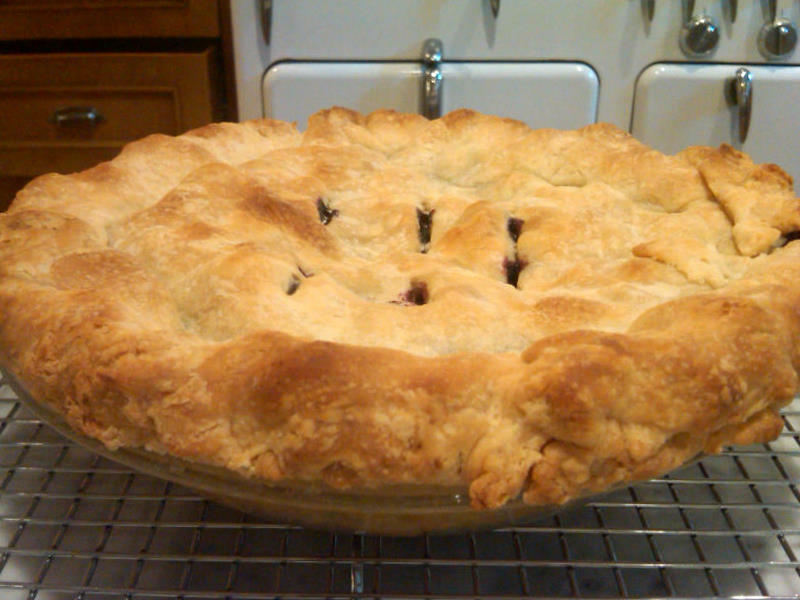 I came to realize that blueberry pies are so simple, that no one bothered to record the recipe; to those housewives in the first half of the 20th century, it would be akin writing instructions for boiling water. 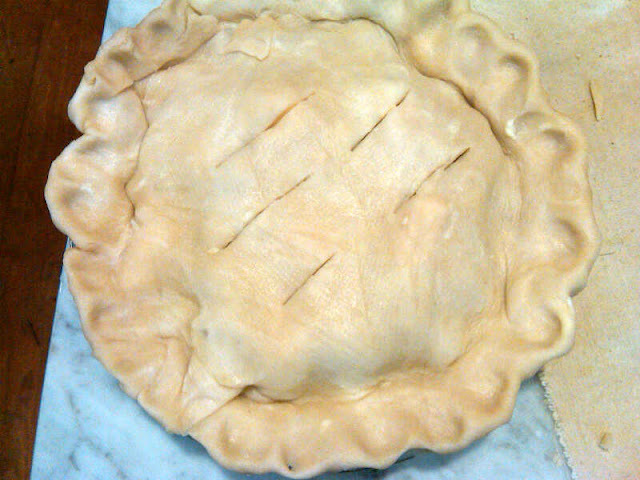 So I did what any self-respecting c. 1940s housewife would do -- I used common sense and put together a delicious pie. I used my go-to crust (2.5 c. flour, one tsp. each salt and sugar, one stick of butter and 6 tbsp. of leaf lard, and about five tbsp. ice water) and rolled out the dough for an eight-inch pie. 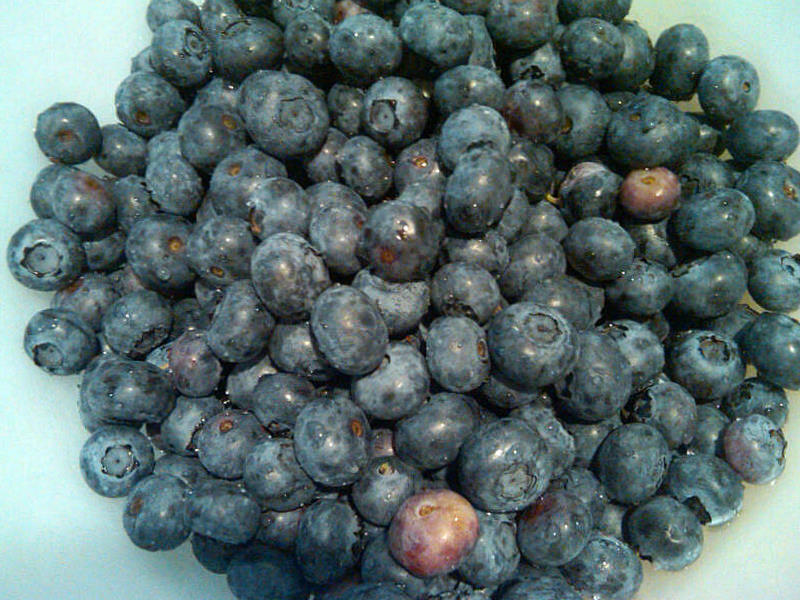 I rinsed the blueberries, put them in a bowl and coated them with a bit of flour. I added some sugar, maybe 3/4 cup, some tapioca for good measure (perhaps about 2 tbsp. 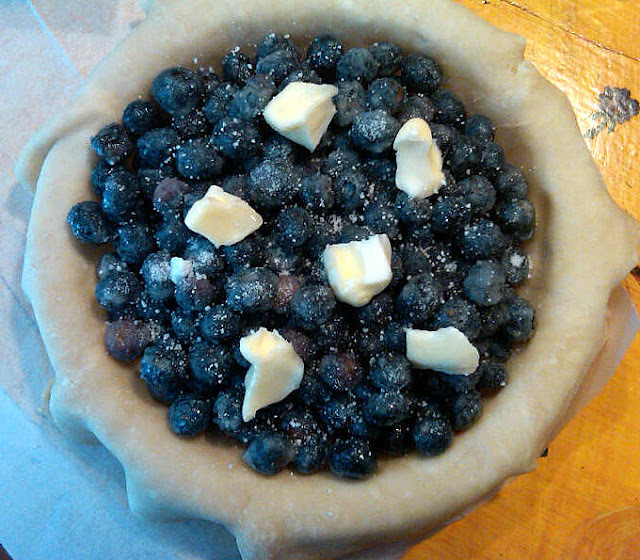 ), squeezed a lemon over the berries and placed in the unbaked pie crust. For good measure, I dotted the pie with a generous amount of unsalted butter. Let's just say that this was so good, that in some ways I'd wished I'd recorded the recipe exactly. However, I do like being part of the tradition that embraces the notion that making pie is as easy as pie and baking is indeed an art sometimes (and not a science). And the good news for my readers is, if I can do it, you can too! @Rondache_warrior -- Funny! Thanks for your comment and all the way from Thailand! Este blog específico excelente é significativo e gratificante certo. Eu sou um amante maciça dos temas discorriam. This pie looks delicious, I hope it tastes the same.